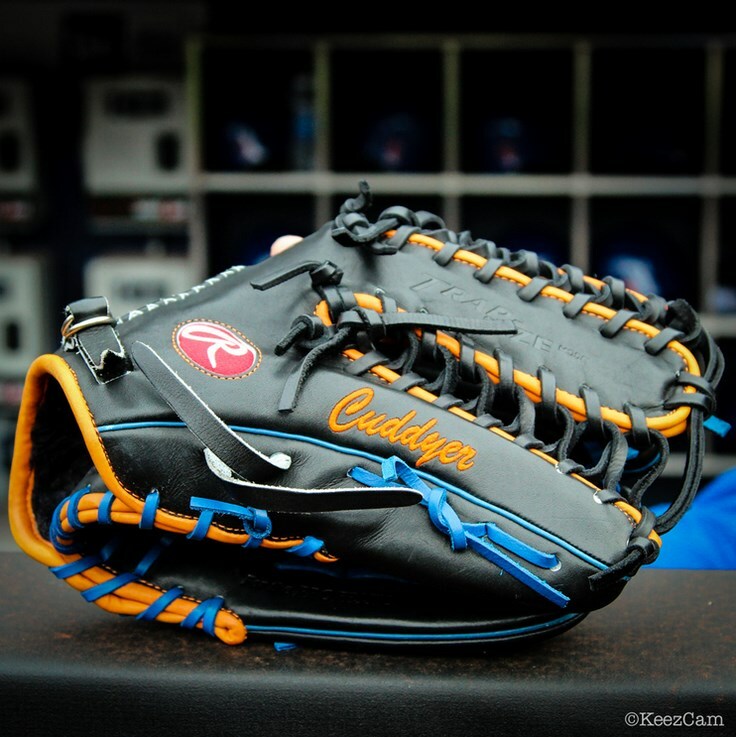 This is not his gamer as far as we know, but what an absolutely drop-dead gorgeous team-styled glove. Hard to fully express the love I have for this one. Categories: Gear, Outfield, Glove, New York Mets, Michael Cuddyer.